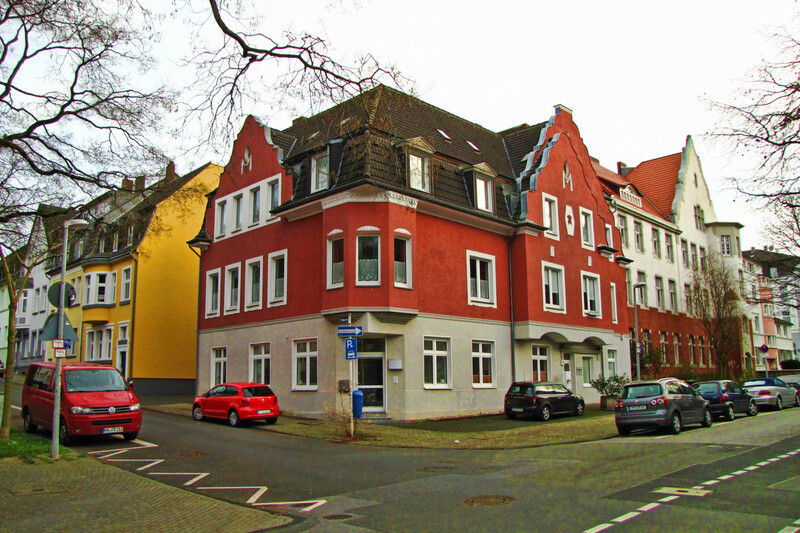 The crossing of Mülheim’s Kämpchen- and Oberstrasse has a stretch of older houses on this side which probably date back to the early 1900s. There used to be a bakery in the corner shop until the late 1990s, but since then it has been mostly empty. The house has been nicely repainted recently, though and looks quite good – the colour version of this photo shows this much better than the black and white!